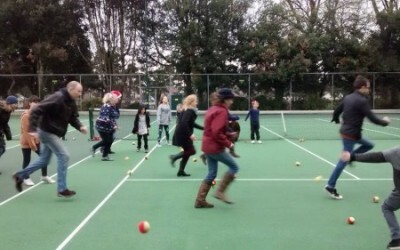 If you took part in our recent Parks touchtennis competition then you’ll understand our excitement about introducing this sport to our park sites and you’ll completely get why the sport is “Easy to Pick Up…Impossible to put down”! Touchtennis is played on a reduced size tennis court, using foam balls, 21inch rackets and with a unique set of rules! It’s so much fun for all ages and abilities and has even been turned into a sport with world rankings and championship events!